When I joined unCommon, I lacked hustle, ambition, and the ability to work in a team. UnCommon taught me how to sharpen my drive and carry a team of apprentices and volunteers alike in projects. I am excited to serve on the Alumni Council because I get to be in a leadership role for all the future apprentices. 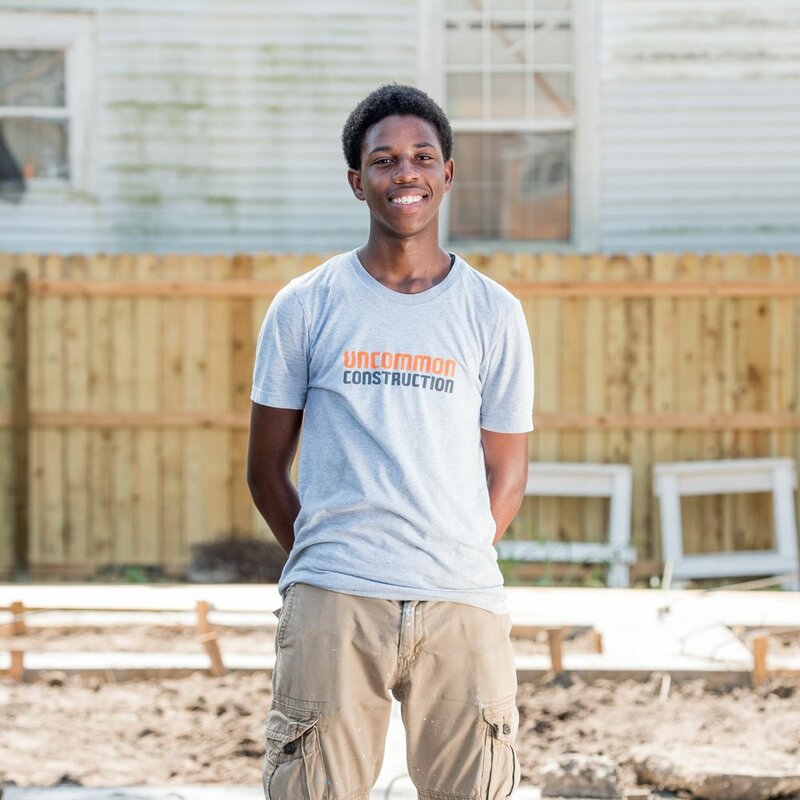 For unCommon, I envision this nonprofit becoming a household name, and for our houses to range from 3-bedrooms to mansions with great scholarships. When I joined unCommon I had my nails all long. I still like to wear them long but not when I know I have to do dirty work. You can say I was kinda girly, but not too girly. Now, I don’t really care about material things, I look for the better in life. So build and better someone else’s lives and not be selfish, just from breaking one nail. UnCommon taught me not to give up, to always stay focused. I am excited to serve on the Alumni Council because I put smiles on everyone’s faces and when others are happy, I’m happy. For myself, I envision owning my own company and someday partner up with unCommon. 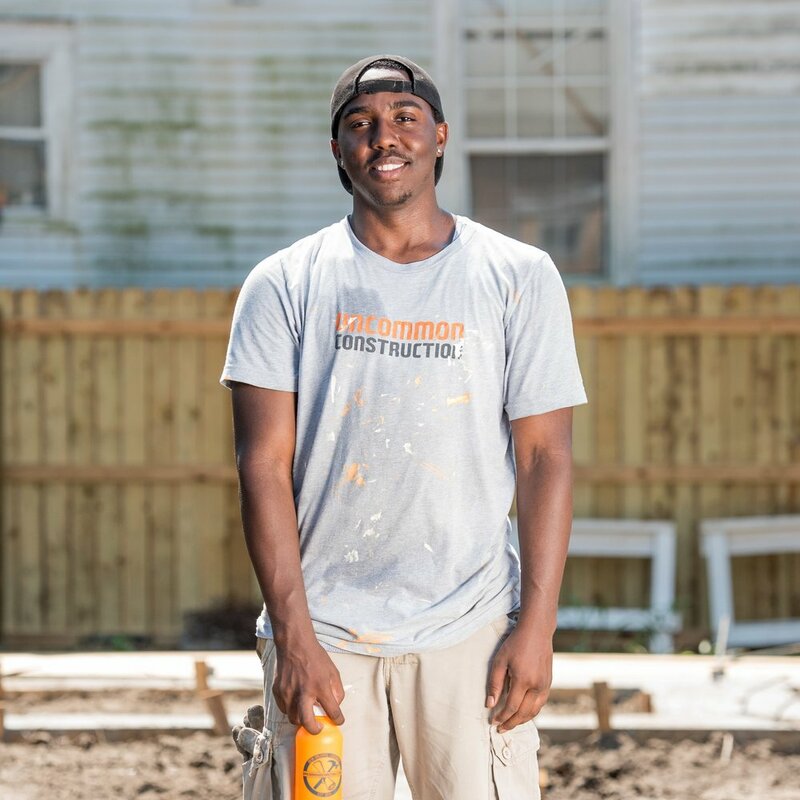 I joined unCommon Construction to pick more than one skill or trait, knowing that I wanted to do more and learn more. UnCommon taught me that I can have two career choices, that I can learn different types of skills and use it to be creative.I am excited to serve on the Alumni Council because I watched the growth of unCommon, and because I am excited to help and watch the next generation of Apprentices build with the program. I envision that unCommon will be all over Louisiana and that high school students will be running to sign up for unCommon semesters. I see unCommon helping students grow and find their future career choice. I see that I have grown with unCommon and I envision it becoming one of the most amazing and life changing programs in Louisiana. In the future, I see myself becoming a successful building designer. Before I joined unCommon I wanted to dropout of high school, but thanks to unCommon they kept me in high school when I wanted to give up on myself. (Thanks uCC!) UnCommon taught me how to keep working hard for the things that I want to achieve my goals. I am excited to serve on the Alumni Council because unCommon didn’t give up on me, so I’m not going to give up on them. I envision that unCommon will have a huge building that belongs to US! What I envision for myself is being THE FACE of unCommon!